I believe in God. Is that faith? Faith requires action. 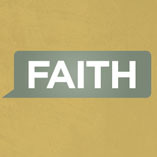 This month in the Loop students will be challenged to put their faith in God and then put that faith into action! Don’t miss it!